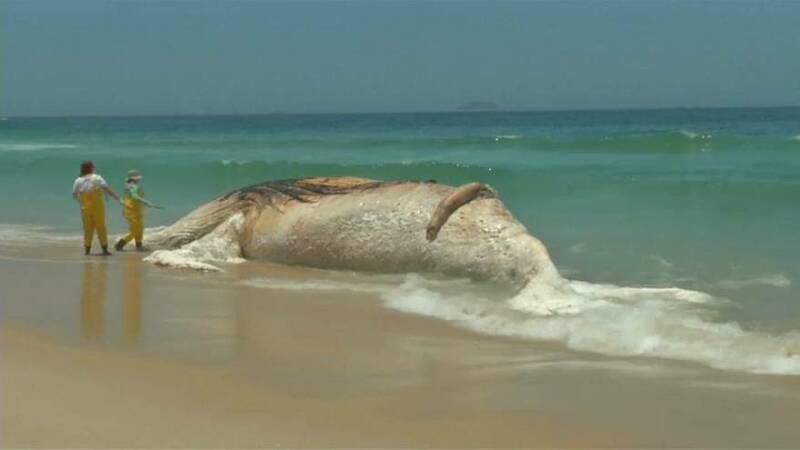 A dead humpback whale has been washed up on a famous Brazilian beach – prompting warnings from authorities. Footage shows people playing and swimming near the decomposing mammal on Rio de Janeiro’s Ipanema beach. The 30-ton whale had died about a week ago, before being washed ashore, according to biologists. Authorities were warning beach-goers to stay away from the animal, but some have ignoring the advice. The beaching of whales along Brazil’s coast has become fairly common as they migrate between their feeding and breeding grounds. In August, at least three whales of the same species ran aground on the coast of Rio de Janeiro in just one week.